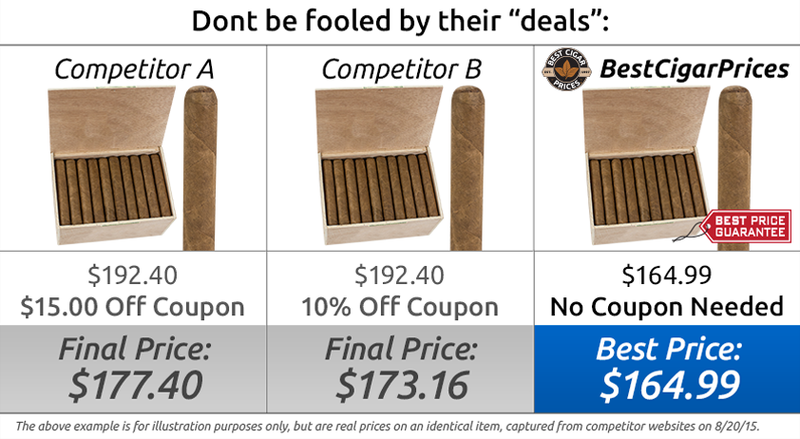 At Best Cigar Prices, our team of cigar fanatics work hard to ensure you get the absolute best possible prices on your premium cigars, without the hassles of coupons and other gimmicks. We're proud of our everyday low prices and we're willing to back them up with our "Best Price Guarantee" Program. If you find a current lower price from one of our online competitors on an identical, in-stock product, we will match that price! 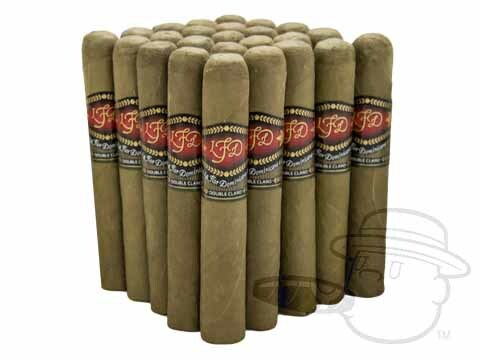 La Flor Dominicana Double Claro cigars are creamy and mellow smokes adorned with La Flor's first Candela wrapper. Boasting this delicate Ecuadorian leaf along with Nicaraguan binder and Dominican fillers, the mean, green La Flor Dominicana Double Claro was designed for those who enjoy a laid-back taste with slight sweetness and medium body. Is your favorite stogie out of stock? We'll let you know when we get them back in. Find out how.